Fish Oils from cold water fish contain Omega-3 fatty acids. Ultra Omegas contains Country Life's highest concentration of DHA with 500 mg, complimented with 200 mg of EPA, all in only two softgels. 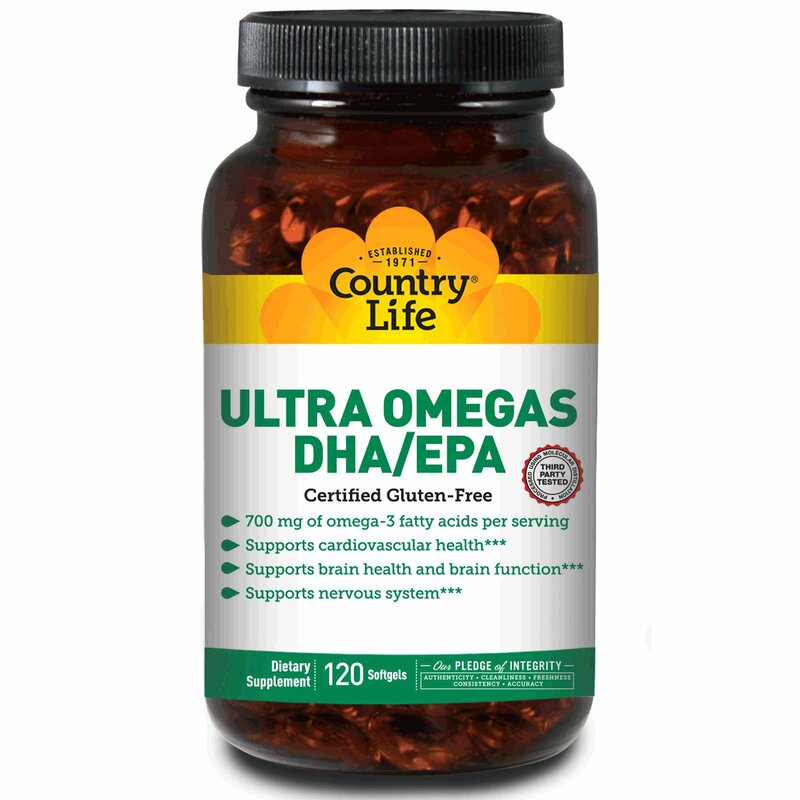 Omega-3s are known to support brain health and function as well as support nervous system function. See nutrition information for total fat content. As this product is derived from Fish Oil, it is third part tested for heavy metals and toxins, such as mercury and lead, to ensure purity and safety and contains no trans fatty acids. 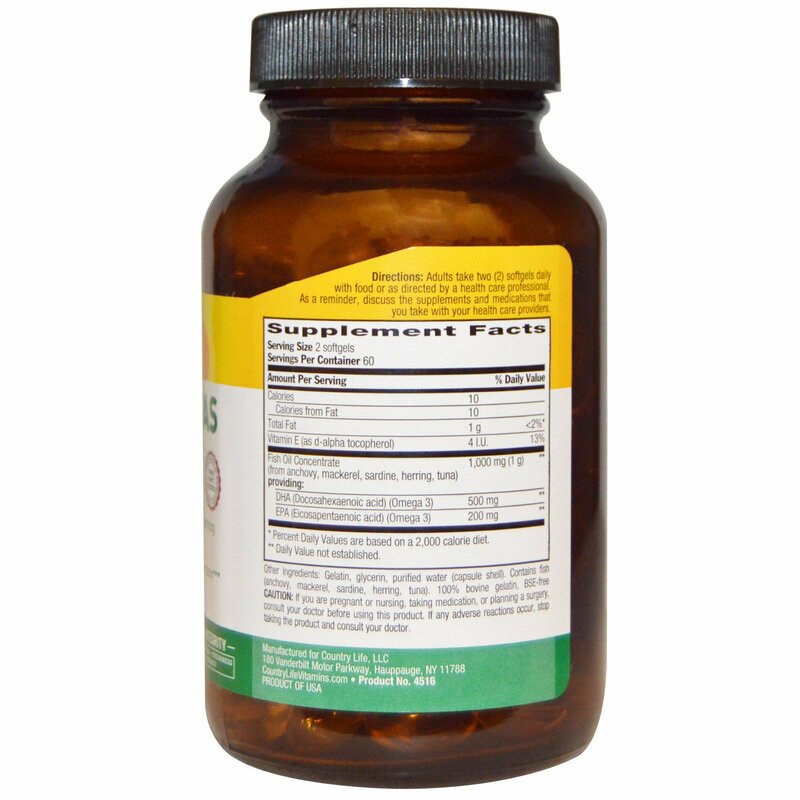 Adults take two (2) softgels daily with food or as directed by a health care professional. As a reminder, discuss the supplements and medications that you take with your health care providers. Gelatin, glycerin, purified water (capsule shell). Contains fish (anchovy, mackerel, sardine, herring, tuna). 100% bovine gelatin, BSE-free.